BUFFALO – It was March 30, Fan Appreciation Night, when Derek Roy, as part of the Sabres’ “Jersey Off My Back” promotion, awarded a lucky seat holder his jersey during a brief video message. Each of the Sabres made an announcement that night; only one, Roy, was booed. The fans’ frustration boiled over during the center’s fifth straight pointless game at crunch time, so they jeered him a bit, even snickered when he popped up on the scoreboard. With the maligned Tim Connolly now frustrating the Toronto faithful, the underachieving Roy, a colossal bust last season with only 17 goals and 44 points, has become the fans’ No. 1 whipping boy. Did those words, combined with Roy’s miserable campaign, punch his ticket out of town after eight seasons? Can Roy and Ruff coexist? Can the veteran morph into a top pivot again? Roy’s status and the Sabres’ possible search for a scoring center promises to be an intriguing storyline this summer. General manager Darcy Regier recently said he would look for the “right” center. What does that mean? On paper, the Sabres have three – Roy, Tyler Ennis and Cody Hodgson – possibly capable of producing around 25 goals and 60 or more points. Of course, neither Ennis nor Hodgson is proven. Ennis dazzled at center late last season, performing like a superstar. But he’s only played there about three months. Meanwhile, Hodgson, who scored 19 goals as a rookie last season, only tallied three times in 20 contests following his February arrival from Vancouver. It’s easy to forget, but Roy’s enjoyed some of the most productive seasons by a Sabres forward in the last 20 years, averaging 27 goals and 71 points in full campaigns. He compiled 35 points in 35 games in 2010-11 before tearing his quadriceps. He earned a prestigious invitation to Team Canada’s Vancouver Olympics camp three years ago. Keeping Roy, who’s entering the final season of his six-year, $24 million contract, could make the most sense. The free agent market is thin. The Sabres got torched a year ago converting Ville Leino into a $27 million center (not surprisingly, he’s a winger again). Roy has millions riding on next season, not to mention pride. When he’s producing, his contract is a steal. Here’s a full look at the team’s situation in the middle heading into the summer. It’s probably no coincidence Roy’s awful season coincided with three injuries. After tearing his quadriceps Dec. 23, 2010, he returned for the playoff finale. Then he hurt his groin so badly last offseason he stopped working out. Finally, he injured his shoulder early in the exhibition schedule, shelving him for the rest of the preseason. That’s three notable injuries in nine months while playing one real game. This upcoming season might prove if Roy has truly lost a step. The ultra-slick Ennis enjoyed a remarkably steady 2010-11 rookie season at left wing, never bottoming out while scoring 20 goals and 49 points. Then he went pointless in the first seven games of 2011-12, sprained his ankle, returned briefly and sprained the same ankle again, missing 17 games a second time. On Feb. 7, Ennis had only four goals and seven points. The season appeared lost. But Ruff had just switched him to center, and he soon began playing like an elite pivot. By March, Ennis was the team’s undisputed No. 1 center, a spot he should keep for years. He showcased dynamic chemistry between wingers Marcus Foligno and Drew Stafford, a trio that was the NHL’s best in March. Ennis compiled eight goals and 19 points over 12 late-season games. It probably wasn’t a fluke, either. It might’ve been the first stages of Ennis becoming a superstar. With his great run, Ennis’ new contract has probably gone from simple to complicated, however. For all the hype Hodgson received – the deal for winger Zack Kassian was the trade deadline’s biggest – he produced very little following his arrival from Vancouver. Hodgson mustered only eight points and a minus-7 rating with the Sabres. He didn’t record a point until his 11th appearance. The Sabres might possess a future 30-goal scorer and top center in Hodgson. But he struggled for two months. He accumulated most of numbers when the Canucks, who had grown tired of his dealing with his “issues,” began showcasing him. Canucks general manager Mike Gillis ripped him following the season. Hodgson has a lot to prove in 2012-13. Hecht, the longest-tenured Sabre (he was acquired from Edmonton 10 years ago Friday), is probably done in Buffalo following an injury-filled season in which he battled two severe concussions. Sabres general manager Darcy Regier said Monday it’s “probably less likely than likely” Hecht and Brad Boyes, the team’s two unrestricted free agents, will return. An emotional Hecht, cognizant his Sabres career was likely over, had tears welling up in his eyes while talking to the media after the season. At his best, Hecht, a winger for years, was an underrated two-way presence who produced around 20 goals, 50 points and a nice rating. But he slipped after signing a four-year, $14.1 million contract, enjoying only one more good season, 2009-10. What if the Sabres had spent that money elsewhere? Boyes’ February 2011 arrival as Terry Pegula’s first acquisition signaled the new owner meant what he had said about spending for a winner. Sabres fans instantly became giddy. They had a $4 million former 43-goal scorer. Never mind Boyes had dipped to 14 tallies the year before. He immediately rewarded the Sabres, scoring in his first two games and five times in his first 10. Then he went dark. Boyes didn’t score again for 18 games, in garbage time of the Sabres’ playoff finale. In his last 83 games with the Sabres (playoffs included), Boyes scored nine goals. 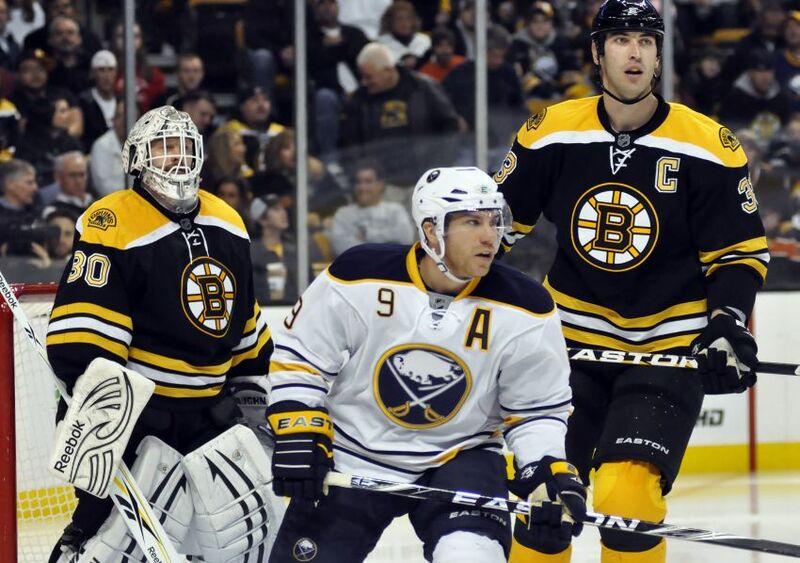 Two came in the Sabres’ meaningless season finale in Boston. The awful season clearly wore on Boyes, who seemed stunned he couldn’t score. Perhaps a team will take a flier on Boyes, whose shootout prowess could be worth a few extra wins. In his 2010-11 breakout season, the Sabres’ top fighter had eight goals, 20 points and established himself as someone skilled enough to play on any line at center or wing. But McCormick performed more like the journeyman who had shuttled between the NHL and AHL for years after signing his big contract. He battled two concussions, became a healthy scratch and was the last regular Sabres forward to score. He must prove two seasons ago wasn’t a fluke. Adam began the season as the Sabres’ No. 1 center, tallying three goals and six points in the first four games between Jason Pominville and Thomas Vanek. On Dec. 17, he scored his 10th goal and 20th point in his 32nd game. If he kept up that pace, a Calder Trophy nomination was a strong possibility. But that goal was the rookie’s last NHL point of the season. Incredibly, Adam endured 20 pointless contests, became a healthy scratch and was mercifully sent to Rochester on Feb. 9. Adam was the AHL’s top rookie in 2010-11, yet did little in Rochester, scoring only four goals in 30 total games. If Adam struggles again next season, he could find himself out of the Sabres’ plans.